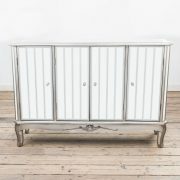 Annabelle Venetian Mirrored Gunmetal Silver Sideboard. 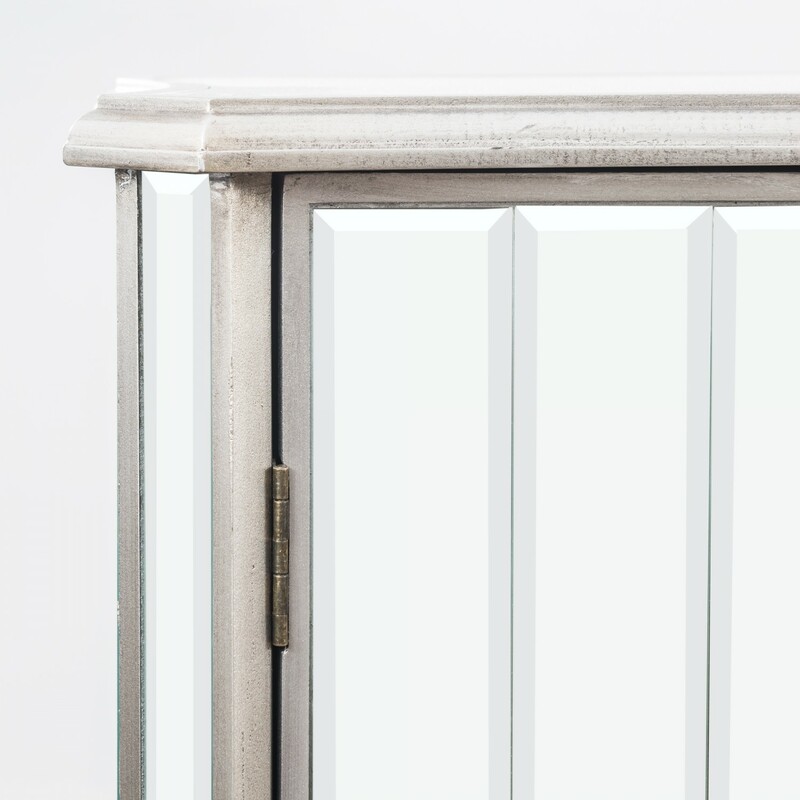 Enhanced by a Gunmetal silver painted and bevelled mirror glass, This piece is handcrafted from solid wood and embellished with a subtle Rocaille motif in the middle. 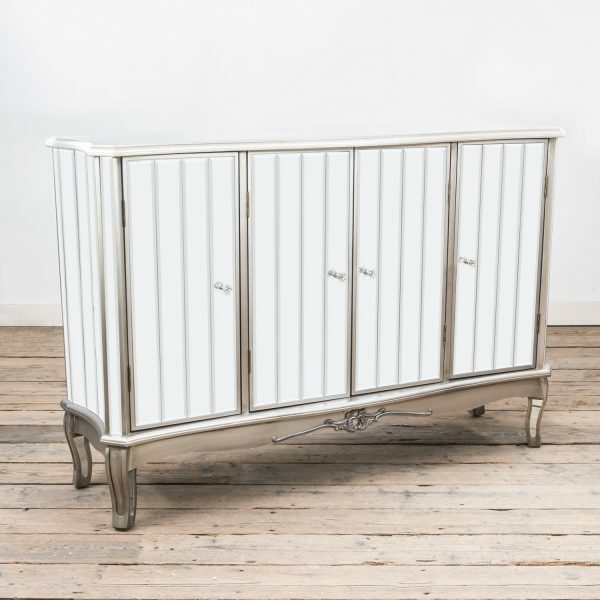 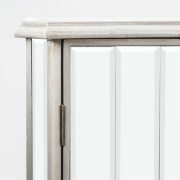 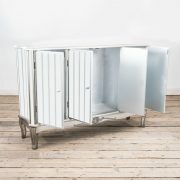 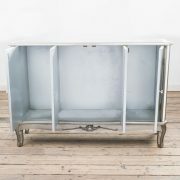 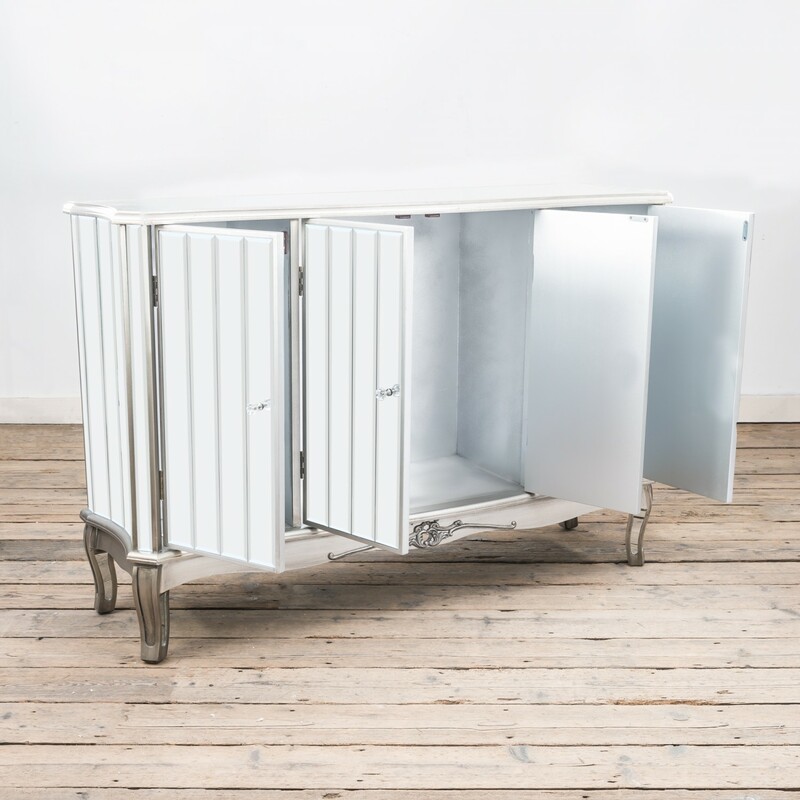 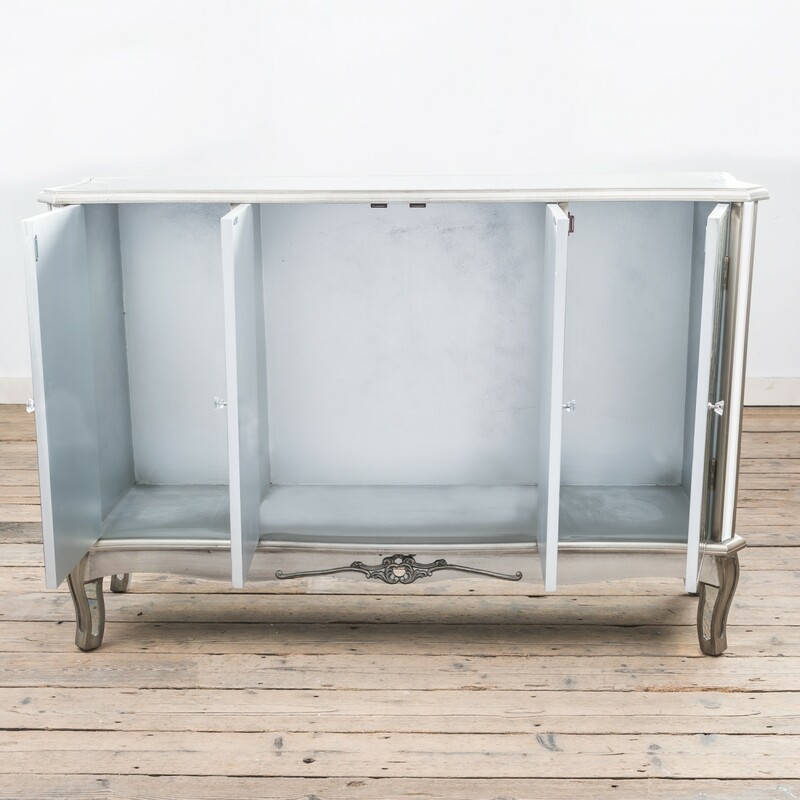 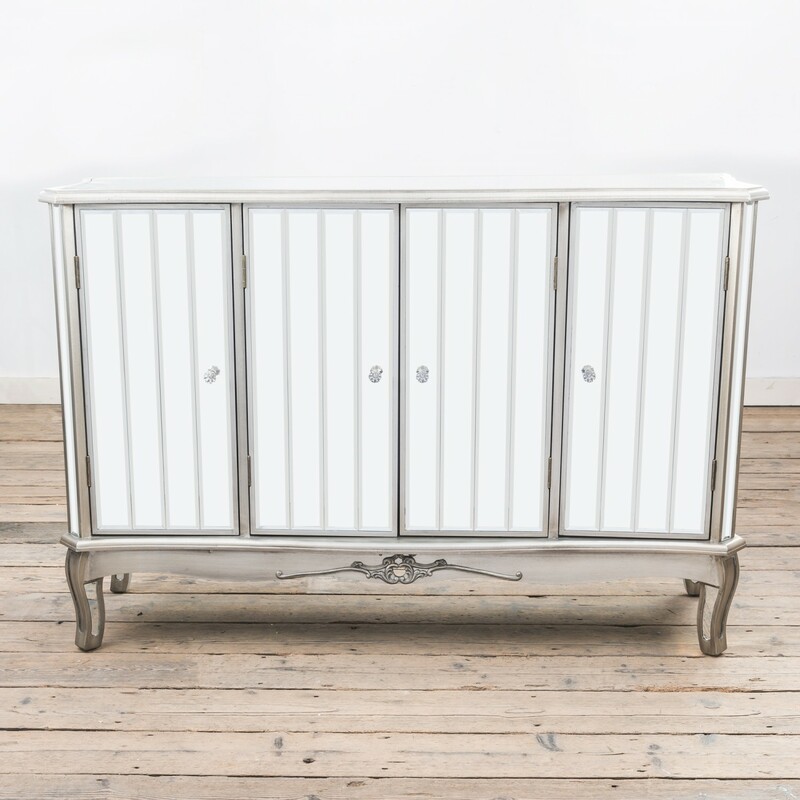 This design is then further enhanced with a vintage style distressed silver paint finish and bevelled mirrored panels.